Industrial Robot Supply has chosen Oracle Netsuite ERP system to better serve our customers needs with improved project management abilities, customer relations, vendor relations, and more. 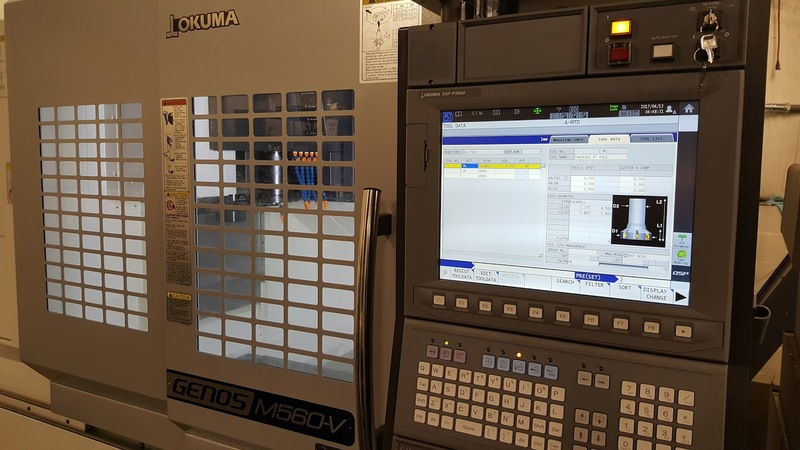 We've added a brand new 2017 Okuma Genos M560V Vertical Machining Center to our machine shop. This unit features a 15k RPM spindle, full renishaw probing system, and a 1000psi Chipblaster High Pressure Thru-Spindle coolant system. The quality of parts this machine puts out is outstanding. The controls are efficient, and we're now on the next level of part quality for all of our positioners, cells, fixturing, grippers, and more. 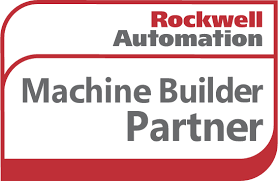 We're proud to announce that Industrial Robotix is now a certified Rockwell Automation OEM Machine Builder Partner. Solution Partners are proven, trusted and established companies that offer extensive experience in the design, implementation, project management and maintenance of industrial control systems. We offer Rockwell / Allen-Bradley hardware as standard on all of the systems we manufacture, and we look forward to a bright future utilizing this state-of-the-art equipment on our robotic systems. We have implemented a new controls program this year standardizing on Allen Bradley hardware in all of our robotic work cells. We are using the new CompactGuardLogix PLC system in conjunction with Panelvew Plus color HMI's. This is Rockwell's latest safety PLC controller that offers a safety ladder and a non-safety ladder which allows for complete cell safety control along with Allen Bradley's Compact Logix processor. We utilized Ethernet I/P communication, and Safety over Ethernet I/P when applicable. This platform has allowed our Controls Department to excel in design, installation, debug, and customer support. Contact us today for more details on our controls packages for robot cells. This year we've made many improvements to our spare parts department. Complete new warehousing layout with new bar coding software for serial number tracking. 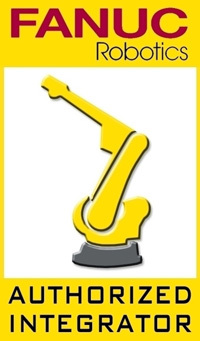 We've also added new bar code tracking on all customer parts and robot repairs with history tracking by serial number. We've added a new "Weld Lab" which houses one of our SP3000 robotic welding cells with a dual-arm Fanuc 120iB/R30iA system and 2x Fronius CMT 4000 welding power supplies. In addition we have an Arcmate 100iB system on our EXAXIS TRP250 tilt/rotate positioner with an OTC Daihen DP400 and Hypertherm 1350 plasma. 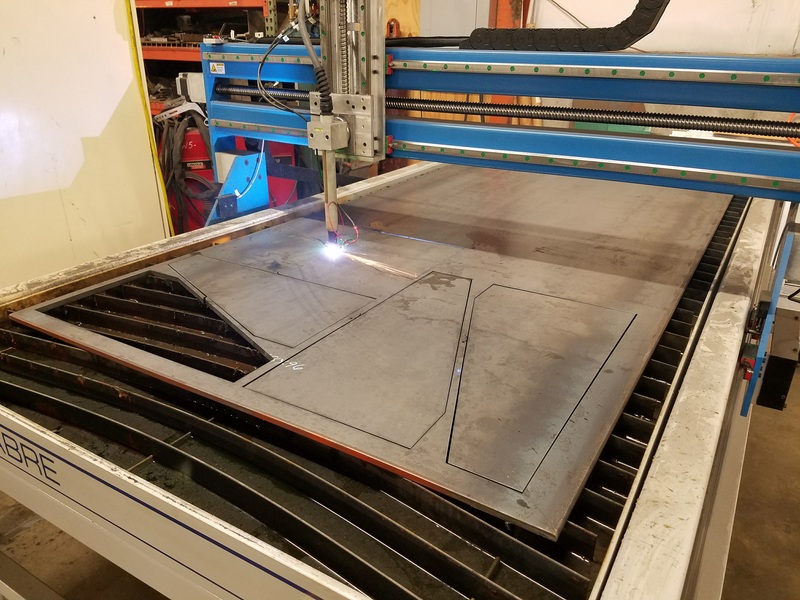 We also have various Lincoln Powerwave 455M and other welding power sources to utilize to work with customers in developing welding processes, welding tooling/fixturing, feasibilty studies, and small-run production or part startup. Our machine shop has been expanded with the addition of another Fanuc-controlled Kitamura VMC, and a Hwacheon CNC turning center with live tooling. We will soon be releasing our new SP3000F Ferris Wheel positioner system with up to 1000kg payload and 48" to 120" span. We expect a full release of this product in 3rd quarter 2016. We also have a new automated greasing system available in 2 through 6 axis. It has been performing flawlessly in automotive plants for almost a year, and we're ready to release this system to the market. More details will be published soon on this system. Industrial Robotix has added some additional CNC equipment to assist in manufacturing components for our positioners and cells. Major shop rennovations currently under way late summer 2014. New wash booth and tare-down booth under way - to be finished end of fall 2014. 5k sq foot work-shop and CNC shop air conditioning system added and completed.